With the exception of numbers 3, 6, 8 and 10 all of these guitars seem to pre-date the 1981 launch of Westone guitars by Matsumoku * . If the logo is in italic script, it is not a Matsumoku instrument. This logo appeared on guitars that were made in Italy . This guitar is probably a Matsumoku model. The serial nos. on the two following examples make them 1980 builds. 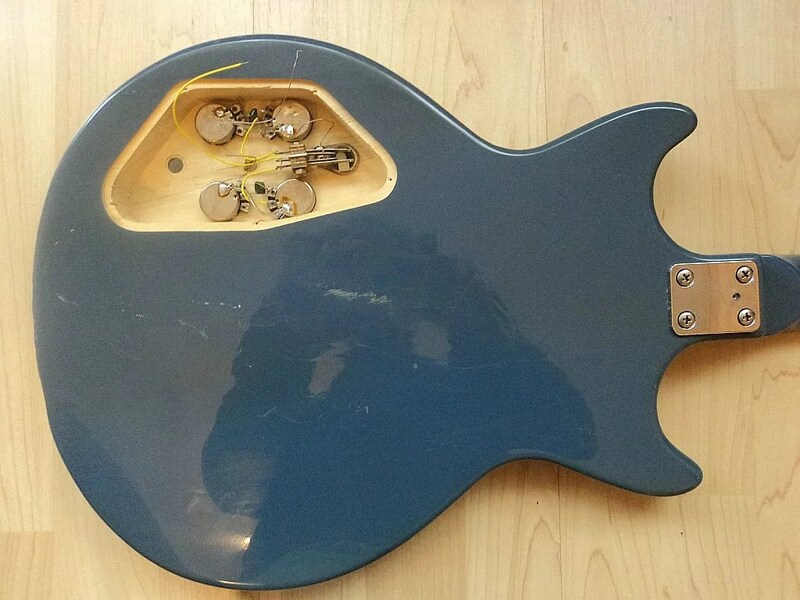 The general shape, and the inlays, suggest that this could be a precursor of the Thunder range. This example appeared on the German eBay website. 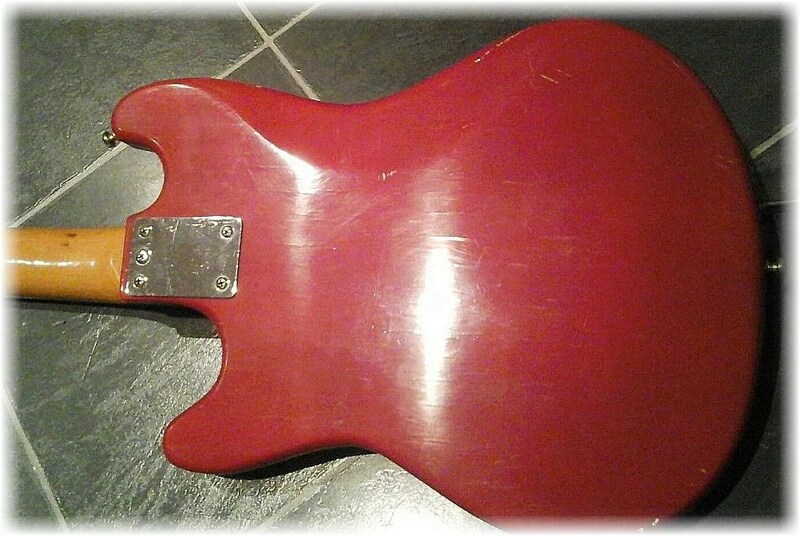 It is in beautiful condition and looks to be original except for the head stock face which is suspect. It appears to have been refinished in black and a non standard Westone logo added. This logotype design has not been seen historically and is not likely to be original. It is probably a custom “vanity” modification. 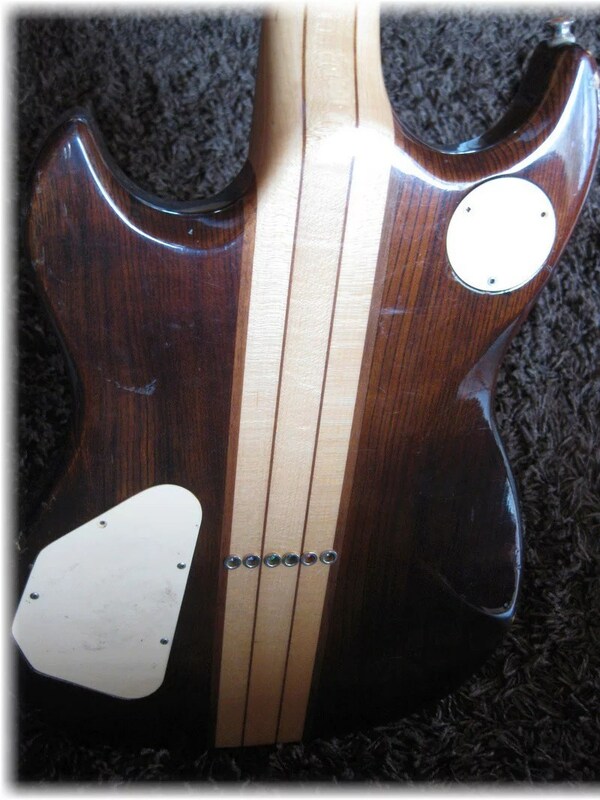 In all other respects the guitar is original and almost certainly a Matsumoku made instrument. New! also July 2016 This second example of Unknown model 1, courtesy of recently joined Forum member Olleoc. This would confirm that the black faced example above was a post Mats modification. It’s hard to understand why anyone would cover up a mother of pearl inlaid logo with black paint. 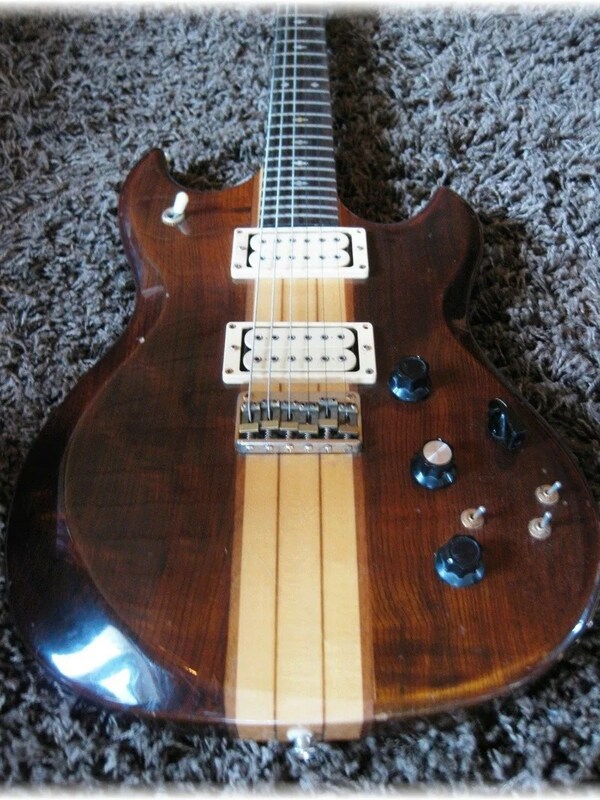 This one-owner guitar was bought in Germany and is in gorgeous condition. What makes it obviously different is the dark finish, perhaps an indication that Westone was seriously about to promote this model. Serial number identifies it as a 1980 build, the same as the others on this page. 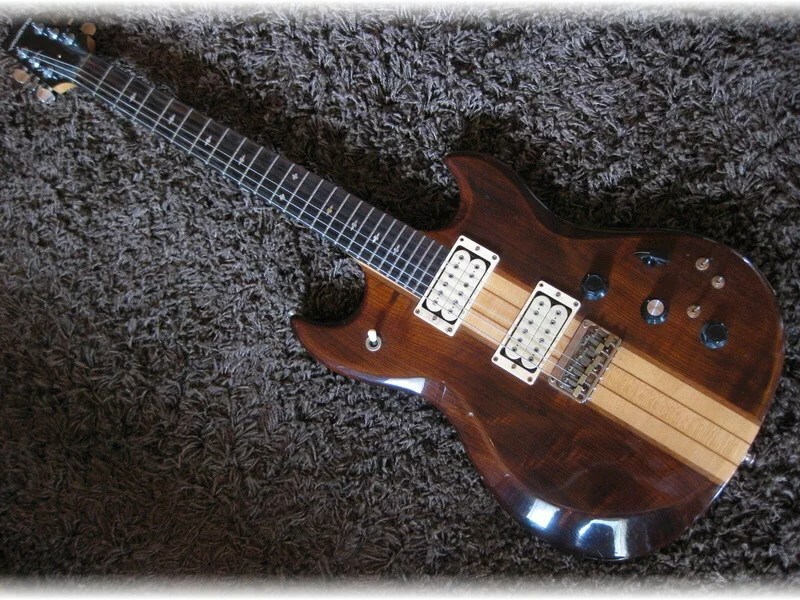 This guitar may well be a Matsumoku model. 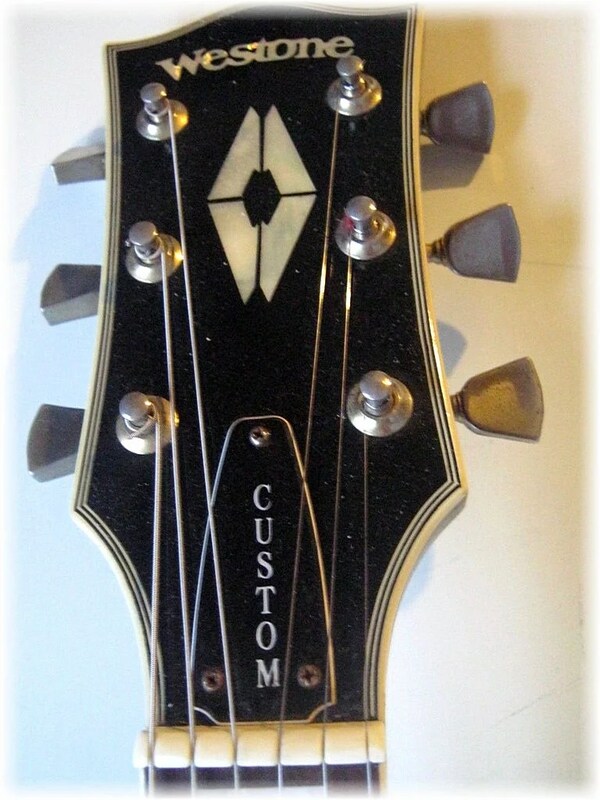 It pre-dates the known models (1981 on) and has the same logo as the Matsumoku made acoustic guitars. There are some very similarly shaped guitars, also branded as Westone (Different logo) which are definitely not Matsumoku instruments. 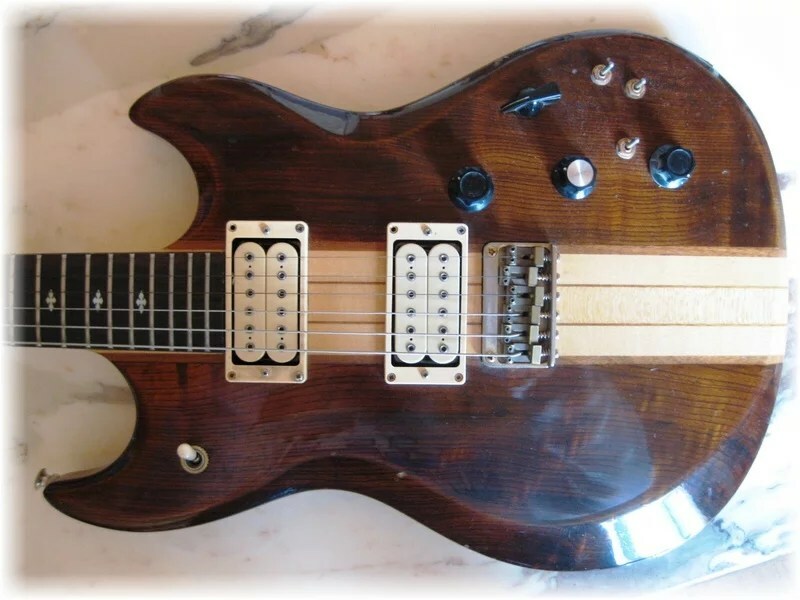 Below are some more versions of this “unknown” (probably Italian) guitar. This is the WE1000, introduced in 1997 as part of FCNs attempt to revive the Westone brand. * New Sept 2017: Thanks to forum member joe_martin79 who has owned one of the the following models since new, and it is indeed pre-Mats circa 1967-69. 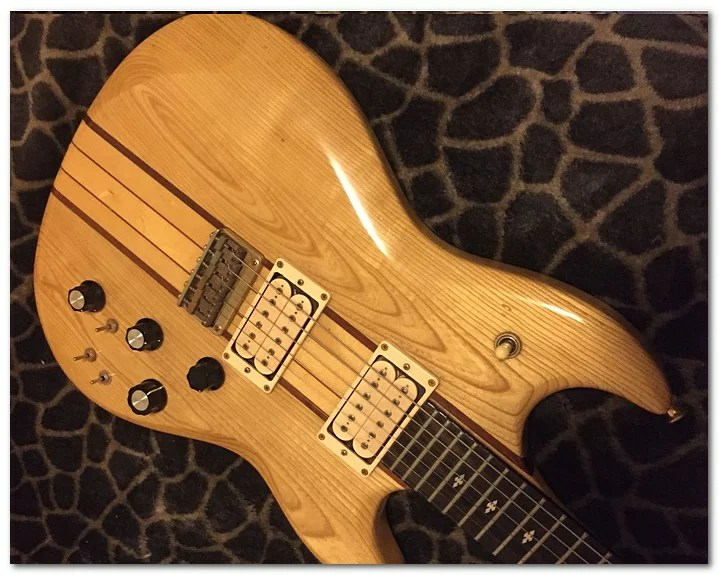 Stylistically there are similarities with the guitar shown below, played by Mark White of ABC – unfortunately the article doesn’t say what it is. 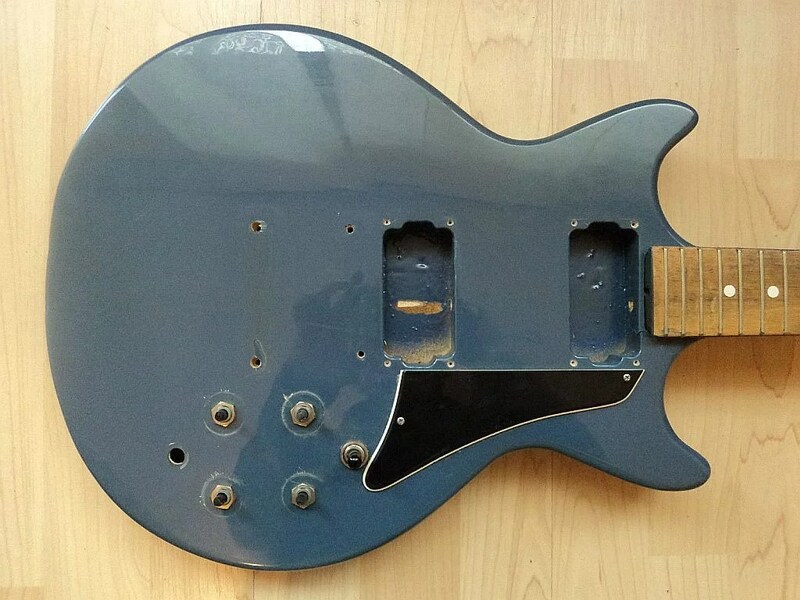 This single pickup version of Unknown Model #4 was discovered on eBay. The damaged bottom suggests that the construction is hollow? A new model, King II, was recently discovered and it bears a striking resemblance to this one. The King II we have is definitely a Matsumoku, made in 1985. 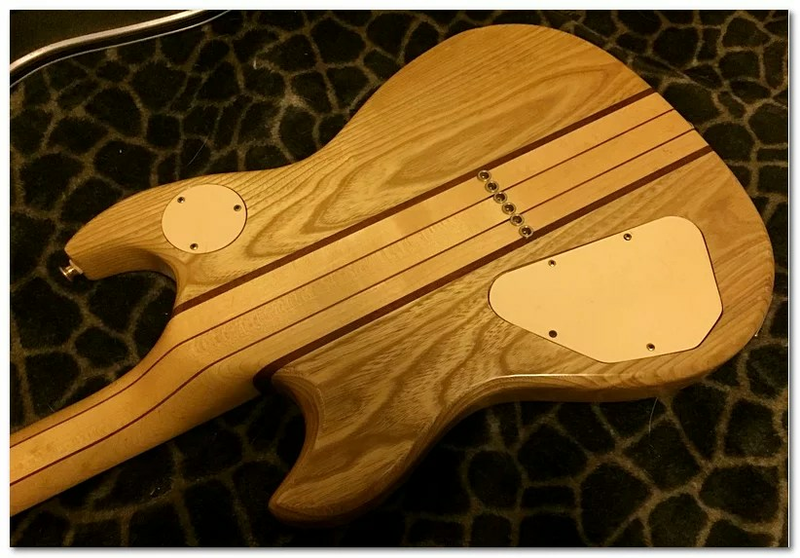 It’s a Maple version with a 5 piece laminated neck and appears to be a more expensive build, but the overall dimensions and configuration appear to be the same. 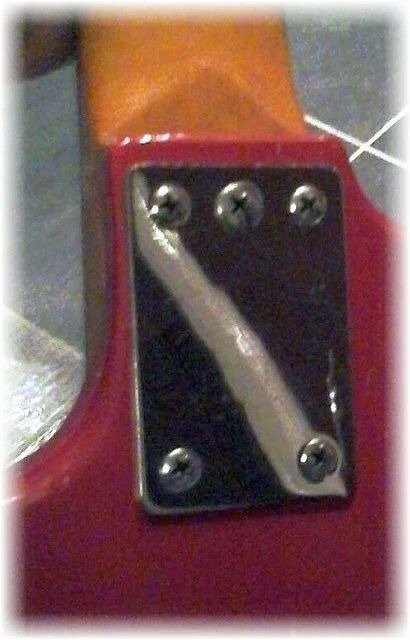 The truss rod cover on the example below is covered over by what seems to be a stick on plate with the owner’s intials. Underneath it could very well be a King II or even a King I? The logo on this one is as the logo on unknown model no. 1, which is probably a Matsumoku guitar. The same logo is featured on the acoustic guitars which were made by Matsumoku in the 1970s. The model name is ‘501’ and it was bought in December 1980. This is one of the Korean models introduced in 1997 as part of FCN’s attempt to revive the Westone brand. 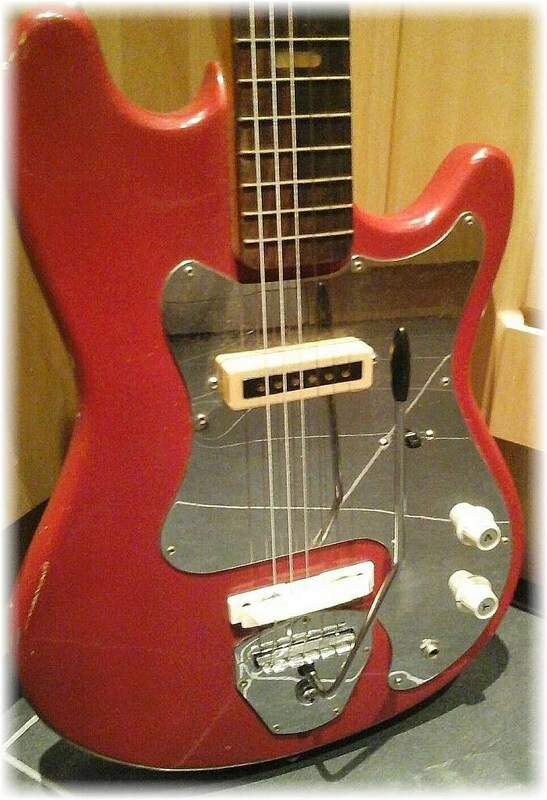 This one qualifies as ‘unknown’ as it doesn’t appear in any of the catalogues and seems to pre-date the official launch of the Matsumoku Westone line in 1981, but it is definitely a Matsumoku guitar, and an obvious ancestor of the Rainbow I.The label in the f-hole says it was made by Matsumoku Industrial Company Ltd, and the logo is the same as on the early acoustics.The label also gives the model number as A1511 and serial number as 7910033, which implies it was made in 1979 (Both numbers are handwritten). 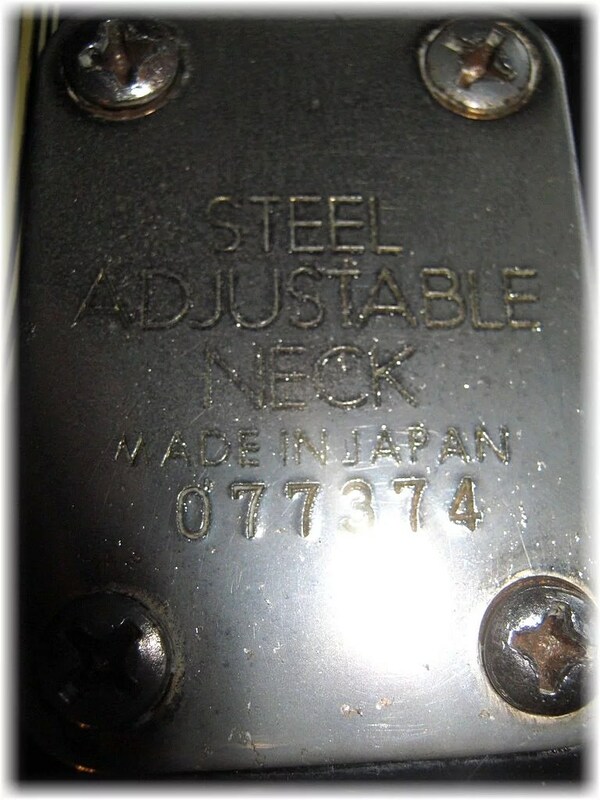 The serial on the neck plate does not correspond with the serial on the guitar, but the ‘steel adjustable neck’ inscription was common on Japanese guitars of the 1970s and the plate may have been outsourced. Purchased in 1984 (Date of manufacture not known, there is no serial number) and sold a prototype and there were only about 10 made. 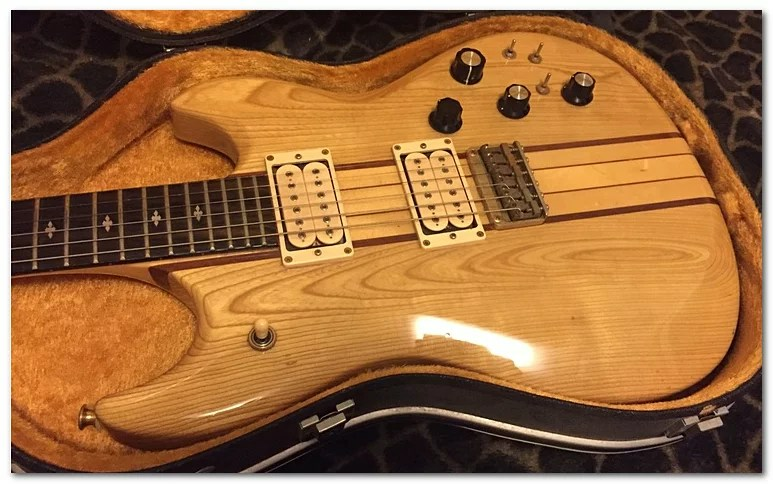 Looking at the top of the body, the natural conclusion is that it’s a Prestige 250 until you see the rest of it, especially the headstock which is the same style as the Concord series. It may be possible that Matsumoku were considering adding a ‘Prestige’ model to the Concord range. 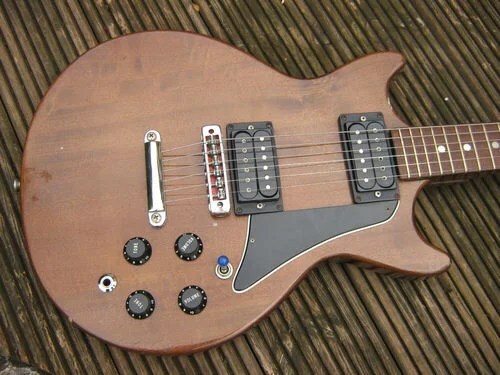 This very similar guitar appeared on Ebay (UK) in December 2009. 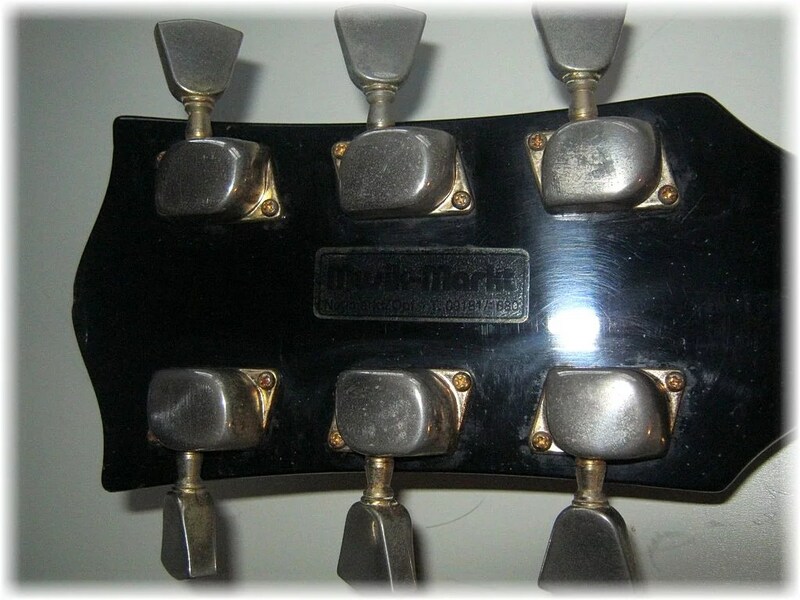 The headstock logo and neck plate design would seem to date this guitar to pre-1984. 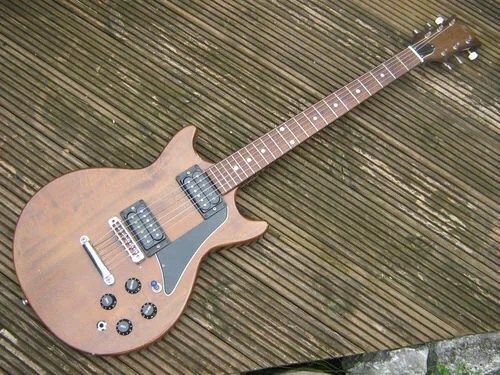 This guitar was bought in 1979. 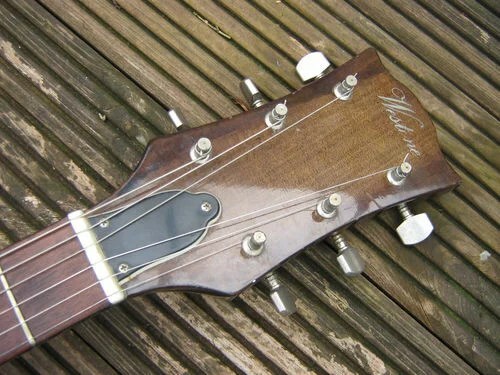 The logo on the headstock matches the logo on the Matsumoku acoustics, so it is probably a Matsumoku guitar. The patent referred to on the last page of the 1983 catalogue is not in fact for the heelless neck join design. It’s for the ornamental design of a guitar shaped much like a Les Paul. The patent was filed in August 1978. 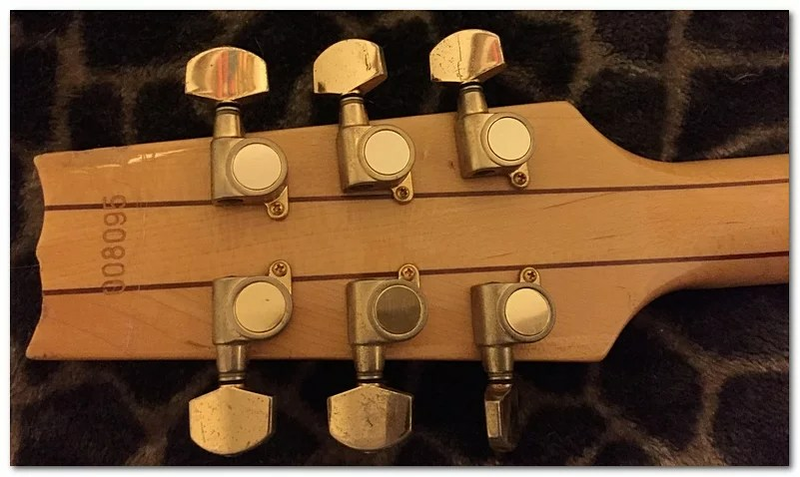 Thanks to Forum member meadows who spotted this head stock inlay variation of Example 1. In all other respects it appears to be the same. 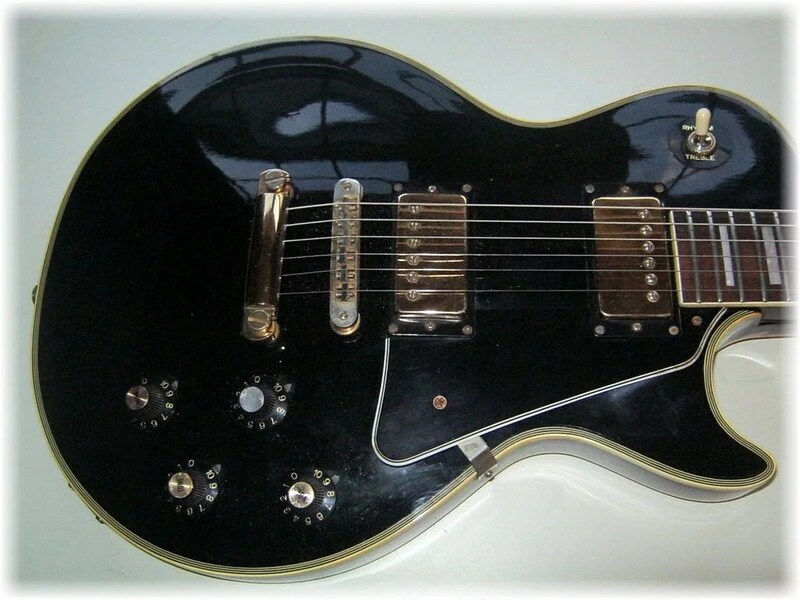 It seems there was more than one Les Paul style guitar. This one was bought second-hand in Madrid in 1982. This seems to be a close relative of the Steve Lynch signature Corsair but there are a few differences. The body colour, contours, binding and Kahler Spyder trem are the same as on the signature Corsair, but the pickups are H/H instead of H/S/S with a single 3 way switch instead of separate switches for each pickup. 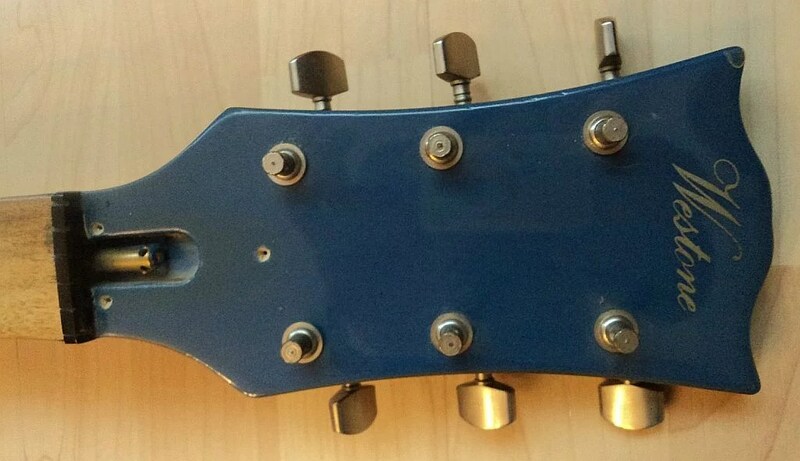 The headstock is different. 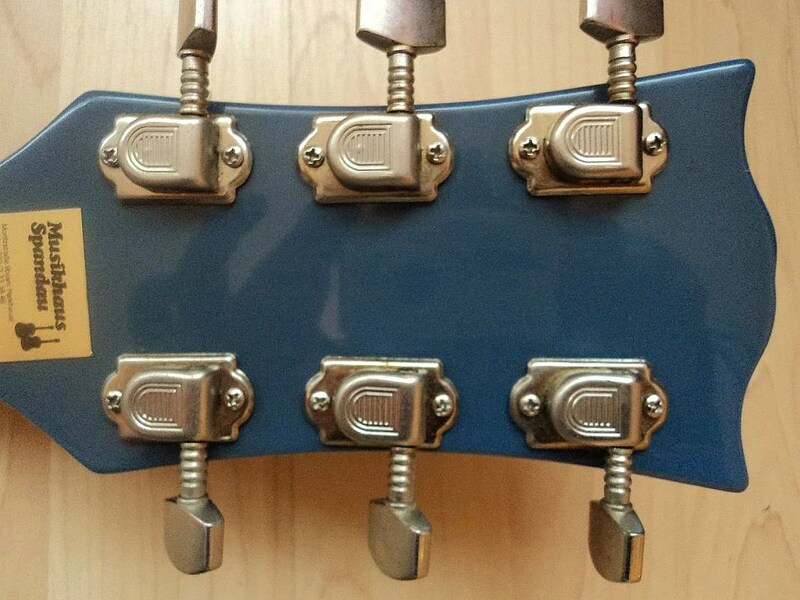 This headstock style appeared only on the Dana models but this headstock is reversed. 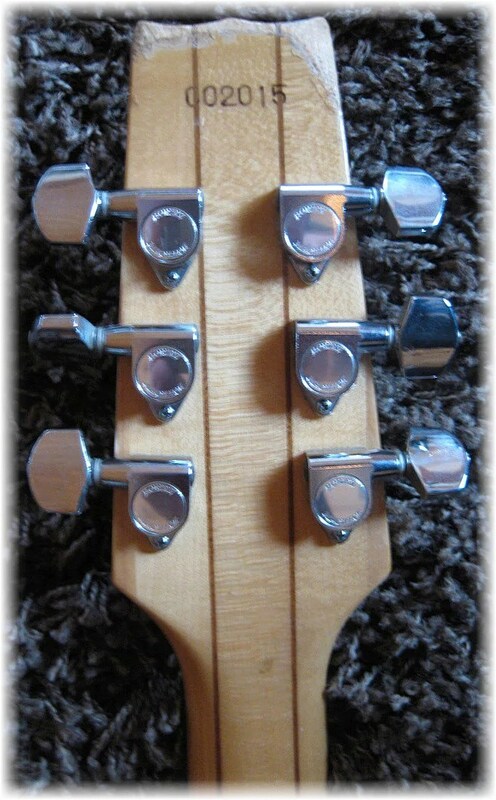 The available catalogues do not show any model with a reversed Dana style headstock. 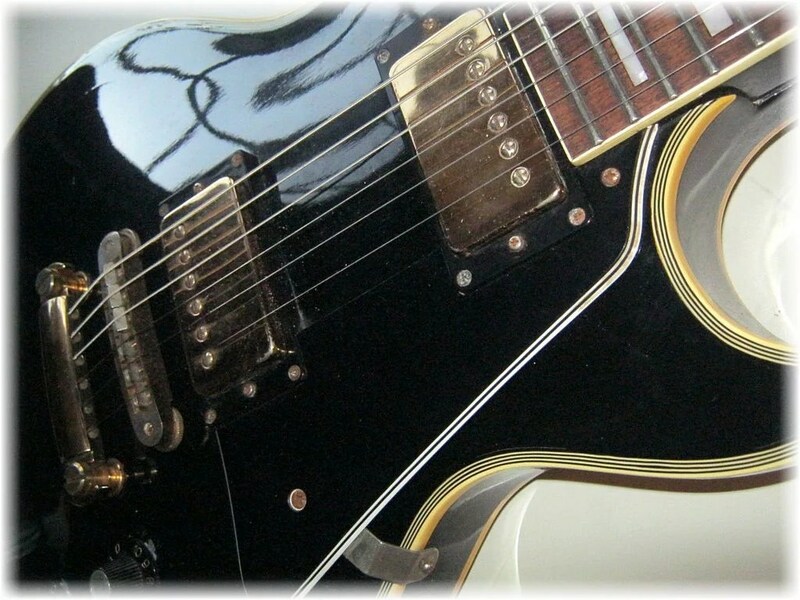 Thanks to Alister for the pictures of his guitar. The somewhat archaic trem on this one fits the apparent age of this guitar. The serial number (E80…) dates it to 1980 (Probably May). The logo matches that used on the late 70s Matsumoku acoustics and the other unknown models that are confirmed Matsumoku guitars from 1979/80. 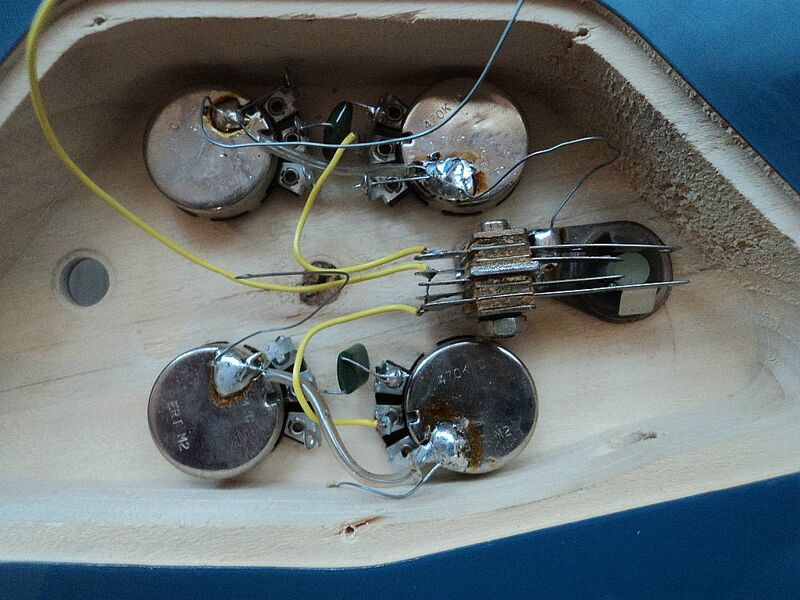 Thanks to Henk Klaassen for these photos of a Stratocaster copy, which appears to be a genuine Matsumoku guitar.